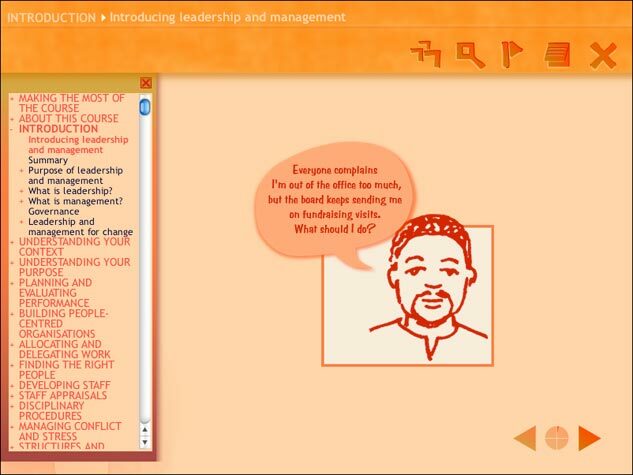 1 Introduction • Understanding leadership • Understanding leadership and management in activist organisations • The purpose of leadership and management. 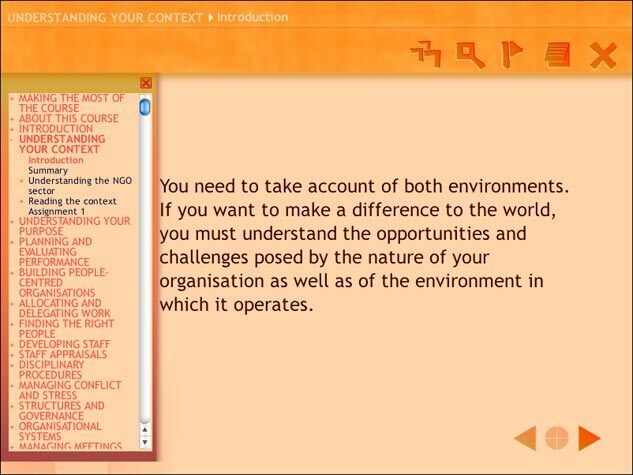 2 Leadership in Context • Leadership and management in activist organisations • Context • Understanding the context • Understanding the NGO sector • Reading the context. 3 Creating a Strategy • Understanding your purpose • Organisational culture and values • Strategic direction and purpose • Putting your purpose into practice. 4 Planning and Monitoring • Strategic planning • Operational planning • Reflecting on performance. 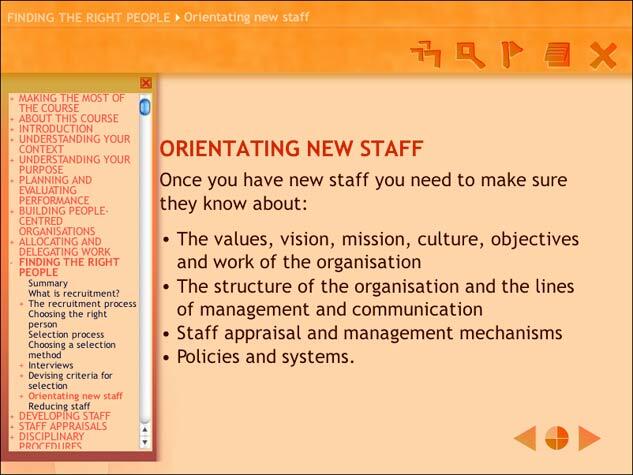 5 Managing People • Building people-centred organisations • Allocating work • Finding the right people • Developing staff • Building effective staff • Managing conflict in your organisation • Helping staff cope with human rights work. 6 Choosing and Using Organisational Structures and Systems • Understanding organisational governance • Choosing the right organisational structure • Choosing the right organisational systems • Managing meetings • Managing structures and systems. 7 leadership and Law • Meeting legal requirements • Developing and using constitutions • Developing and using policies. 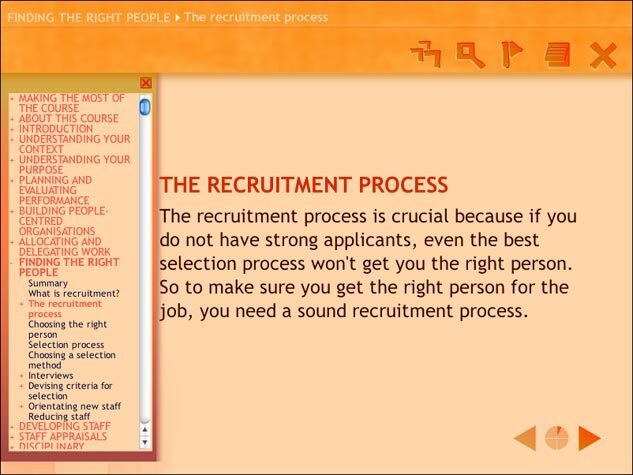 8 Managing Resources • Managing relationships • Understanding relationships with others • Managing voluntary relationships • Managing accountability relationships • Communicating with others. 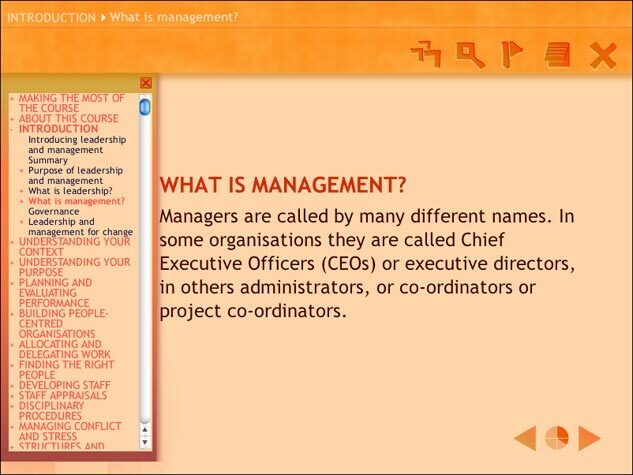 9 Managing Yourself • Role definition • Time management • Stress management.